Microsoft held a “mystery” press event in Los Angeles yesterday where they revealed the Surface tablet running Windows 8. Most in the media anticipated a tablet announcement but now we know that some PC makers had more than just a sneaking suspicion with regards to what Microsoft was going to showcase. 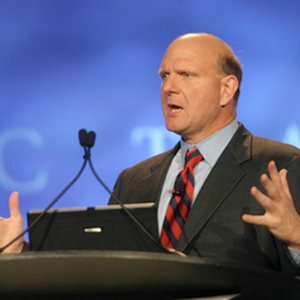 In an interview with The Verge shortly after the event, Steve Ballmer noted that PC makers were made aware of the Surface tablet ahead of the announcement. It’s unclear how long they might have known about the device or what their reaction was but we’ve already seen one manufacturer drop out of the tablet race since the announcement yesterday. Earlier today LG revealed that they won’t be working on any new tablets moving forward, instead investing their time and effort to better their smartphone offerings. Granted, the LG rep noted that Microsoft’s Surface isn’t competing with anything they are working on at the moment. Ballmer also said that one of the reasons Microsoft built the Surface was to “prime the pump” for Windows 8’s release later this year, noting that a tablet was an important piece of the overall story of the operating system. PC manufacturers haven’t said much with regards to the Surface tablet. It’s still early though and it’s possible that others could fold on their tablet ambitions as well but the Surface is more likely to spark competition than destroy it.